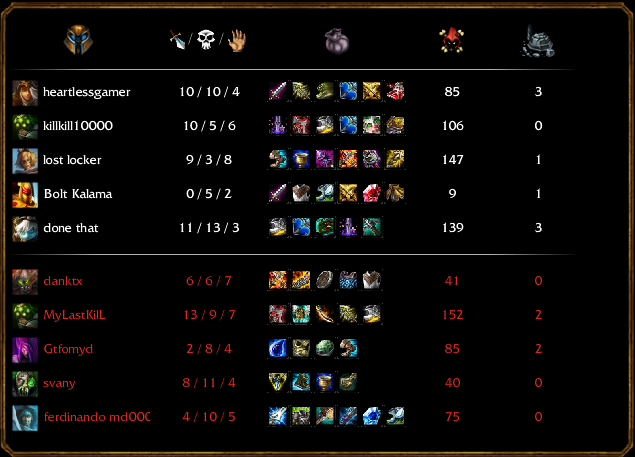 Here are the results from my first multi-player match in League of Legends ? I think I did fairly well. We won the match even though we had one player AFK nearly the entire match. I played as Ashe, who I am liking (following this guide).